The Socialist Party has stated that “the unity of working class people is our over-riding priority and we oppose any moves which tend to weaken that unity.” This post is about the extent to which this is evident in the party’s support for Brexit. Unity of the working class is not a bad place to start, although in the context of the EU this should mean concern about the unity of workers across Europe. However, it is in relation to the unity of Ireland’s workers that the Party shows most concern, and then mostly in relation to unity within the North. The Party points to the potential for increased sectarian tension and division, particularly arising from the possibility of a harder border between North and South or a new one of sorts between Northern Ireland and Britain. The requirement for a new border arises inevitably from the departure of the UK from the EU and from its Customs Union and Single Market. The only way to avoid one would be to maintain membership of both and if this were the case it has been correctly argued that there would appear to be no reason to leave the EU in the first place. Certainly, Socialist Party opposition to the Single Market means that there has to be a border somewhere. To claim otherwise is not only untrue but places the Party alongside the most extreme Tory Brexiteers and DUP, who currently make this absurd claim. It is therefore not at all true that “any hardening of borders is unnecessary.” In so far as the Party considers that its opposition to the EU is more fundamental than other supporters of Brexit, the necessity for a border is stronger. The Party claims that “the Socialist Party will always oppose any deal which is agreed in the interests of capitalism.” But since any conceivable deal will be in the interests of capitalism this amounts to opposition to any possible deal. How could the Party expect the hated EU to negotiate any other sort of deal? Even a Corbyn led Government would not seek to negotiate a deal that went beyond the interests of capitalism. The Party would then be compelled to oppose any Brexit deal, except of course where there was no deal to oppose. But since no deal is the worst form of Brexit from the point of view of creating borders, not only has the Party’s support for Brexit created the border problem, its opposition to any conceivable deal also pushes it to oppose any deal that would reduce its scope and impact. The Party is thus led to advocate the cause of the problem it seeks to oppose without any reasonable policy that would prevent or mitigate it. On the other hand, it notes that many Protestants oppose “any East-West border, no matter how minor, [which] has come to represent a threat to the union between Northern Ireland and Britain.” This opposition is compared to unionist reaction to the Anglo-Irish Agreement in 1985 and to the “widespread disorder that broke out when a mere emblem of the “Britishness” of Northern Ireland – the union flag over the City Hall in Belfast – was removed.” Since the latter was clearly a reactionary mobilisation in defence of a symbol of sectarian supremacy it is not explained why such opposition should be conciliated instead of resisted. The Party believes that “if there is a perception in the coming months and years that the British identity of Northern Ireland is being diminished street protests and street violence cannot be ruled out”, and also seems to believe that this is a legitimate obstacle to be accommodated rather than opposed. In relation to this, the Party is currently involved in a debate on identity politics, but this capitulation to a form of the most reactionary identity politics should form part of its debate. It would seem obvious then that one basis on which working class unity could be advanced would be to build upon this common view of Brexit, and the positive impulses that have arisen among young Protestants and Catholics. This certainly looks an infinitely more promising route than trying to build on a Brexit-supporting opposition based on sectarian identity, which has found previous expression in sectarian flag-waving. Of course, support for Brexit blinds the Socialist Party to this possibility, and even if it didn’t, the Party could not contribute to advancing this potential because it believes that these young people are wrong. But how does it think it will unite workers on the basis of Brexit? This is the key question the Party has to answer but it has not even asked. The Socialist Party and Brexit 2 – part of the programme? Following economic recession the second possible consequence of Brexit predicted by the Socialist Party is increased division and instability in the North. Increased division on the island is of course inevitable, since that is the purpose of Brexit – to exit the arrangements that entail the existing unity of the European Union that includes the whole island. On exit the UK will become a ‘third country’ and the only question is the degree of separation. Given that left supporters of Brexit see the rules of the Single Market and Customs Union as so harmful to the interests of the working class it must be expected that the sort of Brexit they seek involves a high degree of separation and therefore a meaningful and significant border. One has to ask however – why would the EU, if it is the irreformable neoliberal construction that is claimed, strike an agreement in the interests of the working class, whatever that might be? If it were possible there would seem to be little reason to leave in the first place. Why not use membership to effect such changes for the whole EU instead? But this is not the perspective of the Socialist Party, which is wedded to a very particular scenario of the way forward, which is “the necessity of a left government having to carry through a rupture with capitalism and adopting a socialist programme.” This “rupture” with capitalism is to be achieved through the “democratic public ownership of the key sectors of the economy”; i.e. through nationalisation supported by the mass activity of the working class. This must be carried out by each state separately as nationalisation is by definition the action of an individual state. Why a left movement in Britain would be more powerful in reaching out to the rest of Europe’s workers by leaving the EU, instead of remaining and seeking unity of the workers’ movement across Europe, is unexplained. But this is precisely what supporters of Brexit would need to demonstrate – why an exit was necessary and why it would be more successful in achieving wider European unity. How would leaving assist “co-ordinated action for Green Energy on a Europe wide basis” for example? Unity of Europe’s workers, through its trade unions, works councils, political parties and workers’ cooperatives is possible but it is made easier by being within a common EU framework, in which Europe’s capitalist classes are seeking their own form of unity. Only from a perspective in which the rupture with capitalism must first come from national governments in each individual capitalist state is it possible to simply assume without argument that international workers’ unity must follow this and not be immanent from the start. The Party considers its approach to be consistent with the approach of the transitional programme as codified by Leon Trotsky. This can be stated rather briefly as a programme fought for by a revolutionary party that starts from today’s objective conditions and from the existing level of consciousness of the working class. It demonstrates through the demands raised in today’s struggles the necessity to take ever more radical measures that culminate in the working class seeing the need for, and being organised to achieve, socialist revolution. This is the transition that the programme is meant to achieve, as opposed to demands that simply reform aspects of capitalism but do not fundamentally change it, and the maximum programme which demands this fundamental change through demands for socialism and socialist revolution. There are lots of issues bundled within such a view, and lots of Trotskyists who would hotly dispute that the Socialist Party’s version is consistent with Trotsky’s programme, but that is not what I want to discuss here. Rather it is to question how support for Brexit can possibly be seen as being part of any transitional approach. 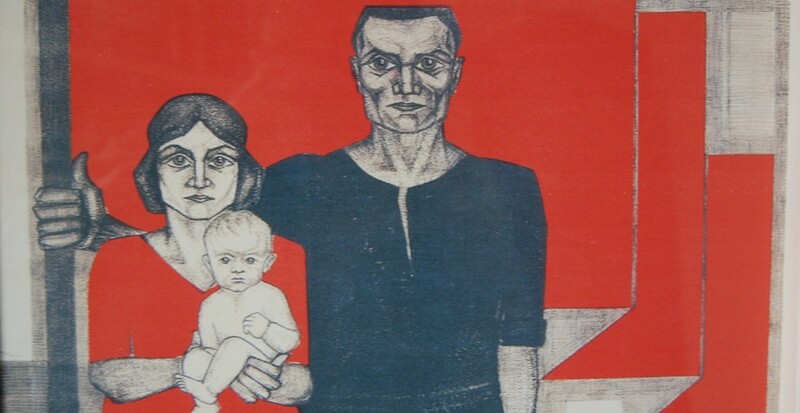 I have written many posts on why I think socialists should oppose Brexit so the purpose here is a much narrower one and is confined to the role that supporting Brexit plays in the Socialist Party’s politics. So having voted for a Brexit, to be determined by a reactionary Tory Government and EU bureaucracy, the Party leaves it for these capitalist interests to decide what it means, to ‘resolve’ the issues (within certain limits). How does this engage the working class in seeking to impose its own solutions? The view that a Corbyn led Government could simply re-negotiate all the bad neo-liberal rules away and leave the same market access is even more delusional than the Boris Johnson idea that Great Britain can get Johnny foreigner to allow it to have cake and eat it. Does the Socialist Party really think Jeremy Corbyn could negotiate away the bad bits of the Single Market and customs union for the whole EU, or even just for the UK? And if it was just for the UK, would this not mean that there wasn’t really a Single Market? And if only for the UK, what then for the rest of Europe’s workers, including the Irish? Would those Irish workers not within the UK have to await its own left government, one that is not on the horizon, before it too would attempt to copy any Corbyn success? Or would it not make a lot more sense for a left Labour government in the UK to fight within the EU alongside allies across the continent, including in the Irish State? Since we don’t have a left Labour Government in Britain or the short-term prospect of one in Ireland, what is the policy that the workers movement should fight for right now to make Brexit a ‘good’ Brexit, or does silence on this indicate that one does not exist? So, the first problem is that the Socialist Party has advocated a policy of Brexit for which it has no concrete idea how to give any progressive content. But of course, a content will be given to Brexit and it will be a wholly reactionary one, and it is really not good enough to vote for a reactionary policy, saying it is progressive and a step forward, and then be unable to build positive demands out of it and arising from it. The final illustration that the policy of Brexit has no place in any socialist programme is that the Socialist Party is totally silent on the most obvious of questions. If Brexit is the right policy for the British working class, indeed for all the workers of the EU, why does the Party not follow up on the ‘success’ in Britain and call for the Irish State to leave the EU as well? It would appear no one in the Party wants to do this, but it is not because they all believe it is wrong. Instead they have saddled themselves with a policy that they dare not proclaim. Every argument defending Brexit and every claim that it is necessary is but another demonstration of the dishonesty of the Party to workers that it proclaims require its leadership – because it is not actually asking the workers to follow it. It is not leading but hiding. Once again, the political impotence of the policy is so clear that it cannot be replicated: the nationalist nature of it imposes its own logic regardless of the left illusions of its supporters. There is no transitional content whatsoever. Brexit has thus exposed fundamental flaws in the state-socialist programme of the Party, a programme which identifies socialism with state ownership and the route to working class power with governmental office. Since the state is a nation state this almost inevitably involves conceiving of socialism, and the road to it, in national terms. And so the Party gets it totally wrong when it comes to key international questions such as the European Union and Brexit. In the final post I will look at the national question and how the Party’s policy on Brexit fails the challenge of uniting Ireland’s workers. Twenty sixteen will see a general election in Ireland, one that will be a referendum on the policy of austerity and by implication the continued subordination of the Irish State to global multinational capital. Austerity will be hailed by the Government as a success and the policy of bailing out the banks and bondholders inevitable and unavoidable. Rising employment and falling unemployment; small reductions in taxes instead of large increases, and small increases in public expenditure will be held up as proof that the return of economic growth is no mere statistical artefact. The policy of giving enormous tax breaks to the richest multinationals while Irish workers tightened their belt, or left the country, will continue to be hailed as successful and absolutely necessary. So, for example, the takeover of Allergan by Pfizer will result in hundreds of millions of tax Euros for the Irish State every year and is the latest illustration of its importance. Yes, times were tough but we had to tough them out, and we did. This essentially will be the argument of the supporters of austerity and these are the arguments that those standing in the election will have to address. They will have to present a critique which means presenting an alternative. Central to this alternative is the idea of creating a left Government. The strategy of most of the left in Ireland has centred on protest politics through single issue campaigns and building up constituency bases from which to launch a credible electoral campaign. The ultimate purpose of this is to get a left Government elected because without it there is an enormous hole in the strategy of the left organisations. Single issue campaigns, such as over water charges, can push back attacks but the bulk of austerity caused by pay reductions, unemployment, tax increases and cuts in services will not be reversed by protest and are the results of the actions of the Government. This shows how central the perspective of entering government is to the left despite often protesting that it is subordinate to mass action by workers, although it is usually difficult to see by what mechanism mass action will achieve stated aims. The left in Ireland has now developed to a scale where some electoral success is more than probable and such success can always be relied upon to cover up for deeper strategic failure and political weakness, such as failure to achieve a left Government or to satisfactorily address the arguments for austerity. There will however be no left government elected in 2016, even by the widest interpretation of ‘left’. In December the Red C/Sunday Business Post opinion poll put Fine Gael on 32% [+1]; the Labour Party on 9% [+2]; Fianna Fail on 17% [-2]; Sinn Fein on 19% [+1] and Independents/Others on 23% [-2]. Of the last figure, independents were 14 % with the left Anti Austerity Alliance and People before Profit Alliance on 3% and, the Greens, Renua and the Social Democrats all at 2% support. In other words the three main parties that have implemented austerity are receiving 58% support, rising to well above 60% if we include the smaller right wing fragments of these parties and right wing independents. Clearly the argument for an alternative has a long way to go. As it is obvious that there will be no left government elected in 2016 the left is beginning to address what the implications of this are. Most obviously, the immediate prospect of a left government has no credibility if it does not include Sinn Fein. Of course the idea of ‘the left’ is a purely relative one and in the past has included the Green Party, which implemented the biggest single attack on workers in the history of the State through the bank bailout and consequent austerity. Sinn Fein itself has dropped much pretence of opposing austerity in the North, where it will implement most of it by itself in a coalition with the most reactionary party on the island, while handing powers back to the Tory Government in Britain to implement the bits it promised to defeat. The idea of being on ‘the left’ is one easily appropriated and needs a clear context in which to be meaningful, but the traditional left organisations have for a long time sought to describe themselves in ways that they see as more immediately accessible to Irish workers, who have a very weak socialist tradition and low level of political class consciousness. They have led the way in diluting political descriptions so that all sorts of words are used to replace the traditional vocabulary. Misappropriation is one price to be paid for this. There therefore exists a need to identify what exactly constitutes ‘left wing’, requiring a fight over ideas, which will ultimately be determined only when these are allied to a practice that demonstrates what they mean in reality. The relationship of Sinn Fein to the idea of a left Government means that the left has had to address this in order to retain the perspective of a left Government at the centre of its strategy. In this series of posts I will look at two aspects of this – what the political weakness is of the left’s strategy and what proposals the two left organisations – the Socialist Party and Socialist Workers Party – have put forward in order to deal with the problems posed to their electoral approach. On 9 December an article appeared in ‘The Irish Times’ by two TDs from the Socialist Party about their views on a possible alliance with Sinn Fein in the coming elections. The Socialist Workers Party has also published an analysis upon which it has constructed a policy on a left Government for its electoral front, People before Profit. The Socialist Party TDs state that “Unfortunately, we have major doubts as to whether Sinn Féin would agree to such a programme.” The doubts are justified but this isn’t altogether the point. There is nothing on this list which one could immediately say Sinn Fein could not accept. This being the case the task would therefore logically be to fight to get an agreement with Sinn Fein to agree a programme for Government on these lines in order to maximise the chances of such a Government after the elections. It could be argued that promises from Sinn Fein would be worthless and there’s a long history of broken promises in the North. However the North isn’t the South and the South isn’t the North and the very fact the anti-republican Socialist Party even raises the possibility of a Government with Sinn Fein acknowledges this. Challenging Sinn Fein and doing so in front of its supporters would help to either expose lack of seriousness in its proclaimed policies or pressure them to commit to formation of a left Government while setting out clearly the policies on which this would be based. It could also be argued that Sinn Fein would not be prepared to take the steps advocated by the Socialist Party to the same extent; it would not raise taxes on the rich or increase state investment to the same extent. This objection however is only one of degree and not fundamental. If it is considered by the Socialist Party that the commitment of Sinn Fein is too weak it could state what level of taxation and state investment it would see as constituting a minimum anti-austerity platform – certainly for both it will be more than the effect of the 2016 budget, which is estimated to raise household disposable income by 0.7%. Sinn Fein however has endorsed the Right2Water campaign’s policy principles which are supported by a number of significant trade unions within the anti-water charges campaign. Again these principles are vague but they do include a commitment to public investment of between €6 – €7 billion in water infrastructure alone, funded through progressive taxation, and they have provided a more detailed document setting out fiscal planning that envisages total spending of €9.4 billion from 2016 to 2020. This was written in June 2015 and will have come before the most recent economic growth so will probably understate the amount that the authors would commit to. In any case the amounts proposed appear to be the minimum they considered possible. The Socialist Party’s own budget proposals contained in the Anti-Austerity Alliance (AAA) statement involve increased expenditure of €12.8 billion funded by increased taxation and savings of €16.4 billion and are clearly more extensive, but again it is a question of degree not of qualitative or fundamental difference. For all the latter’s talk of “anti-capitalist” and “socialist measures” the budget proposals are in no sense qualitatively different from the former and the AAA budget is put forward only as “an illustration of how things could be organised differently”. In terms of what is defined as a left Government there appears no decisive difference between the Socialist Party and Sinn Fein, regardless of what more radical ambitions to socialism the Socialist Party lay claim to. It is what the Socialist Party proposes as the minimum programme for a left Government that is at issue. Sinn Fein’s manoeuvring around potential coalition with what the Socialist Party calls the establishment parties, particularly the Labour Party, does not absolve the Party from responsibility to test the claims of Sinn Fein and to fight to win it to a purely left Governmental programme. None of this should be taken to mean that I endorse the strategic importance of a left Government as put forward by the Socialist Party or the rest of the left, or that I have any illusions in Sinn Fein. Nor should it be taken that I endorse the measures proposed by the Socialist Party in the AAA budget proposals as essentially socialist, or even the road to socialism – I do not. What I do believe is that the formation of a left Government in the Irish state would be a step forward for the working class and present much improved conditions within which workers could fight to advance their own organisational capacity and political consciousness. This means that not only is the possible existence of such a Government important but so also is the programme on which it stands and the programme that it subsequently implements. To simply damn the whole enterprise as reformist on the grounds that it will not see the overthrow of capitalism (which is true) is to abstain from the political issues as they present themselves and the struggles that are there. In addition, to condemn the left organisations that proclaim to be Marxist for adopting a non-Marxist approach (which again is true) is hardly sufficient since the bigger question is not the erroneous views of these organisations but the much wider number of workers who are (rightly) looking for an alternative and see this project as involving an alternative (again correctly). All these considerations matter, even though it is clear there will be no left Government in Ireland in 2016. What exactly divides the Irish Left? In the last article on the debate on the Left and its potential in the upcoming general election I said that I would look at the most important area in which the Left generally, despite the purported differences, were pretty much agreed. Not on everything, but what they don’t agree on is in principle secondary. The fundamental unity is on the nature of the new society the different groups want to bring about and the means to achieve it. So if there is broad agreement on a radical but not revolutionary policy there is also broad agreement on how to implement it. However where Murphy claims to be in disagreement with the likes of Sinn Fein, and those in the Right2Water campaign who wish to see it as part of a left alternative Government, is his claim that a real left alternative is not so focused on elections and would not include the Labour Party. For him the real left alternative is one that is less focused on the elections, in particular the next election, and is orientated more to both struggles outside of the Dail and to using elections and elected positions to assist the building of these movements. So despite similar programmes the Socialist Party opposes an alliance with the Labour Party and Sinn Fein, which means that the prospect of a ‘left’ Government after the next elections is practically zero. It is in this sense that Burtenshaw’s argument that the population has rejected the left’s alternative is rather obviously true, so obviously true it is difficult to see how it can be denied. 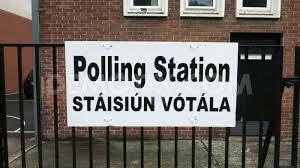 A left Government in the next election that does not include Sinn Fein and/or the Labour Party is not going to happen. In the next post I’ll look at what the Left might do, even with a reformist strategy.